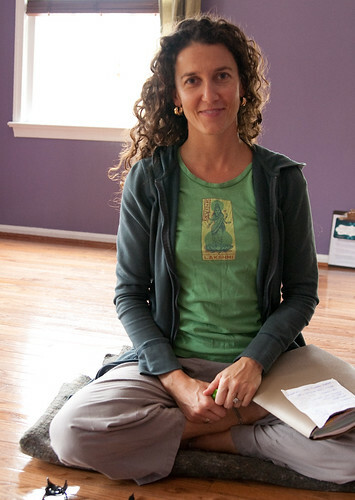 Del Ray resident Natasha Hennessy runs a green and sustainable yoga studio on Patrick Street in Old Town. 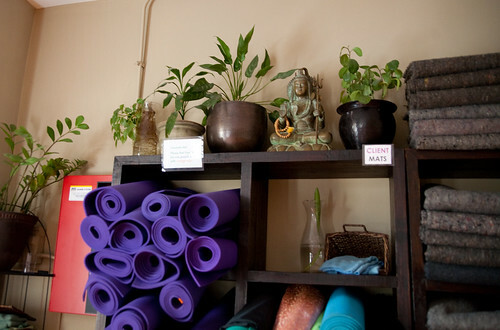 If you’ve ever taken one of the classes at Pure Prana, you’ll probably recall cleaning the yoga mats after class with their delicious smelling homemade herbal spray. Natasha shared the recipe with me and encouraged me to pass it on. This recipe is for 32 oz. bottles. 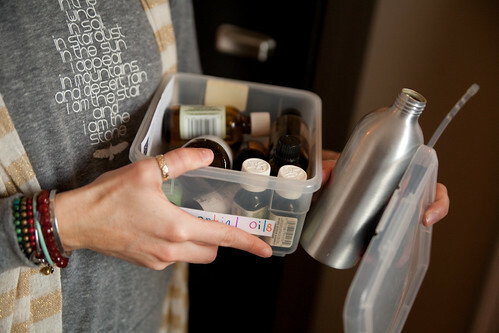 You start with water and then add thyme oil, lavender oil, eucalyptus oil, and oil of oregano. All of the oils have antibacterial properties (especially thyme and oregano). You can use the solution at home as an all-purpose disinfectant for sinks, toilets, countertops – just about anything. Here is Kate Krems, one of her front desk employees, preparing the spray. She converted the amounts, written for 32 oz. 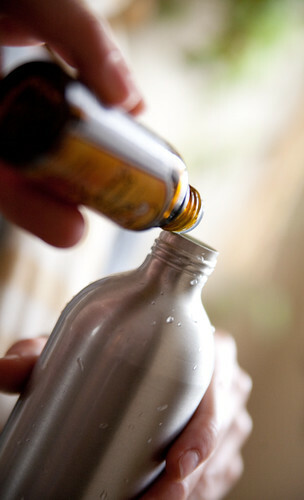 bottles, to use in these smaller 8 oz. bottles. 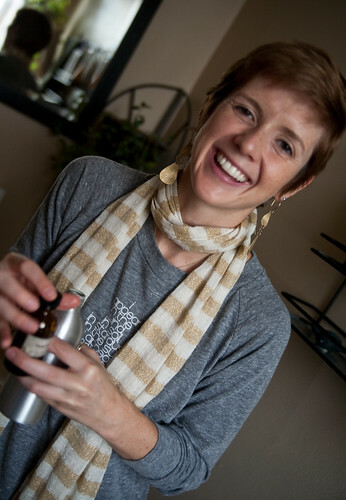 One of Natasha’s other staff members, Elizabeth Bailey, who also works at Mom’s organic market in Arlandia, first encouraged Pure Prana to create a DIY cleaning solution about three years ago. She also came up with the recipe. Elizabeth is now instrumental in maintaining the studio’s commitment to all things green. Natasha showed me the other ways the studio uses only natural, organic supplies, such as the Seventh Generation and Method brands for cleaning the bathrooms. To clean the hardwood floors, they start with a simple solution of vinegar and water. They use Method brand (diluted) to polish the floors to a shine. 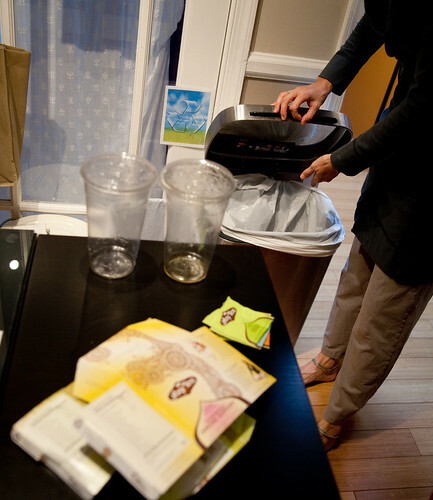 The staff composts food waste and separates recyclable materials, which Natasha hauls home to put in her own bins or uses to nourish her garden. Natasha and Liz also carefully cultivate plants in the studio that are most effective in purifying the air – in keeping with the yoga practice of pranayama, or breath control, which purifies and removes distractions from the mind. 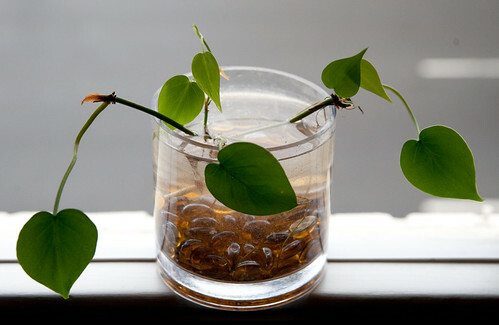 Natasha takes the cuttings from her home garden and starts new plants that she often gives as gifts to business partners and friends. “Sharing,” she says, “is a value I like to put into practice, as well as communing with nature.” She often leaves a tray at the front desk with seeds from flowers and herbs she’s grown, for students to take for free. She used to bring some of her vegetable harvest to share at the studio, but now Pure Prana hosts a community supported agriculture (CSA) farmshare. Natasha says her home in Del Ray is decorated similarly to the studio and she’s offered to do a home tour for DIY Del Ray in the spring. We look forward to reconnecting with her then. Thanks for this DIY post! 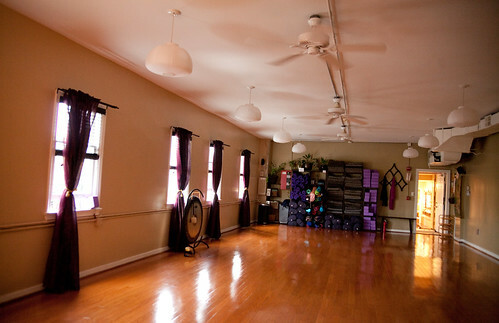 The Pure Prana studio is lovely, and I’m so excited to have the mat cleaner recipe (and that list of purifying plants). Oil of Oregeno also is an immunity booster. Use a dab on the back of your ears to ward off colds but also head lice. We do this for our son when there was a lice outbreak at school last year. Granted he smelled like a pizza but that was worth it considering the alternative! Good post! 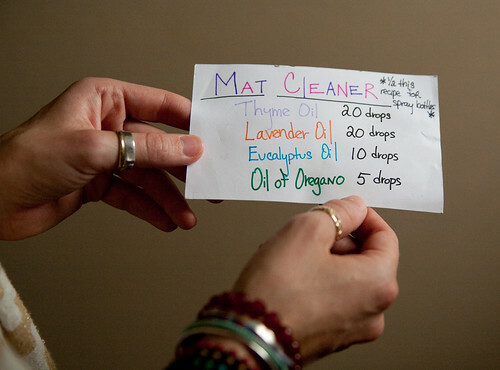 I shall try this at our home as I have most of these oils for making my own wipe solution for our cloth diapering.